The work on results is an area often neglected in modern magic, and is one which is addressed by chaos magic, which advocates the incorporation of techniques from disciplines which affect the mind’s own abilities, a process pioneered in the 20th century by occultist Austin Osman Spare. Mark will teach the course using methods from chaos magick and also self-hypnosis. You select a specific life-enhancing positive magical goal then work to achieve it by the end of week four, using hypnosis and chaos magic techniques. will be backup guidance throughout. Now in its seventh year, this course has consistently outstandingly positive feedback and glowing testimonials. Attendance at all four sessions is essential, and committed independent work is expected. The price includes email and phone backup support during the process. Also a CD/download, available only to students. In an active and well-structured course, you learn the mystical symbolism of the cards, the visual language of their codes and archetypes. There short teaching lectures which are followed by interactive class activities: discussions, meditations, practise readings and learning games. For the duration, the tutor offers backup support by email between classes. 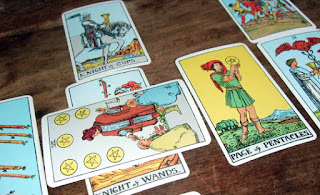 By the end of the course students will be able to do simple readings for themselves and friends, and to work with the tarot in meditation for self-development. This is one of Treadwell’s most popular and successful courses. Suzanne Corbie has been reading tarot for over forty years, and she is a highly experienced teacher who is also one of Treadwells’ hand-selected in-house consultants. 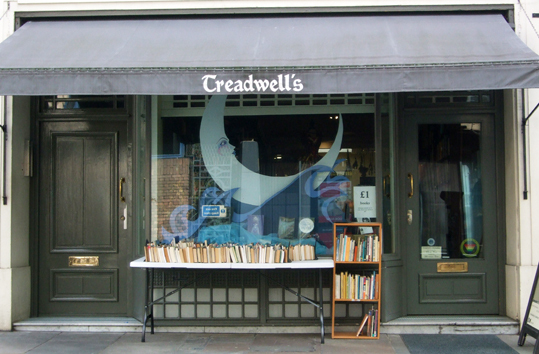 Students who complete the class will receive a Treadwell’s certificate. Max 16 students per class. Time: 6.50pm for a 7pm start. Ends 9pm. Runs for eight weeks, starting Wednesday 6 September. Contemporary mindfulness derives from Buddhism, but similar techniques are found in Greco-Roman paganism and the Western magical traditions. This class is taught by two established teachers and it offers a solid grounding in the practice. People with an established magical practice will find that mindfulness deepens the experiences of their spiritual life. In addition, it gives well-established effects in daily life, including greater purposefulness, inner perspective and sense of wholeness. Class size is kept deliberately small (max 16) so that everyone receives individual attention. The tutors are Vivianne and Chris Crowley. Vivianne Crowley BSc, PhD, AFBPsS, CPsychol is a Chartered Psychologist with a doctorate in psychology. She is an international teacher of Wicca, Paganism, spiritual psychology, and meditation. She is the author of many books, including Wicca and Jung: Journey of Transformation. Chris Crowley BA, MA, trained in counselling with the Centre for Transpersonal Psychology. He is an international teacher of Wicca, Paganism, spiritual psychology, and meditation. He is the co-author of Your Dark Side and Ancient Wisdom. Note: the course includes essential homework to be done through the duration of the eight-week course. This includes a minimum of 20 minutes meditation daily plus other practical exercises. Dates are on Friday evenings: 15 Sept, 22 Sept, Fri 29 Sept, Fri 6 Oct. Fri 13 Oct.
Time: 6.50pm arrival for a 7pm. Sessions end 9.15pm.